The Alps are immensely beautiful and provide diverse landscapes and activities that we never get tired of. 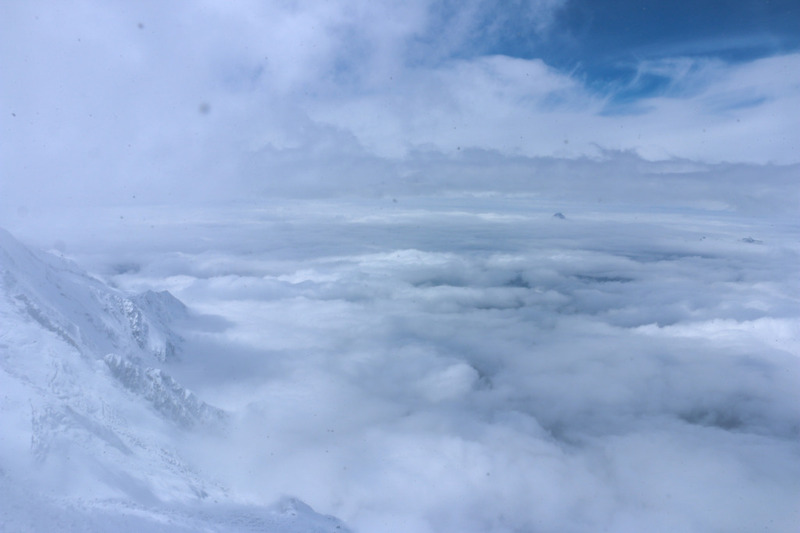 This year we finally made it there and spent a beautiful spring weekend in Chamonix, in the French Alps. Officially Chamonix-Mont-Blanc, this alpine valley town is the gateway to the famous Mont Blanc massif and its surroundings. 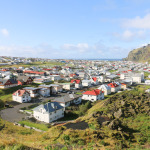 With a range of activities all year-round, from snow sports in the winter to hiking or biking in the summer months. 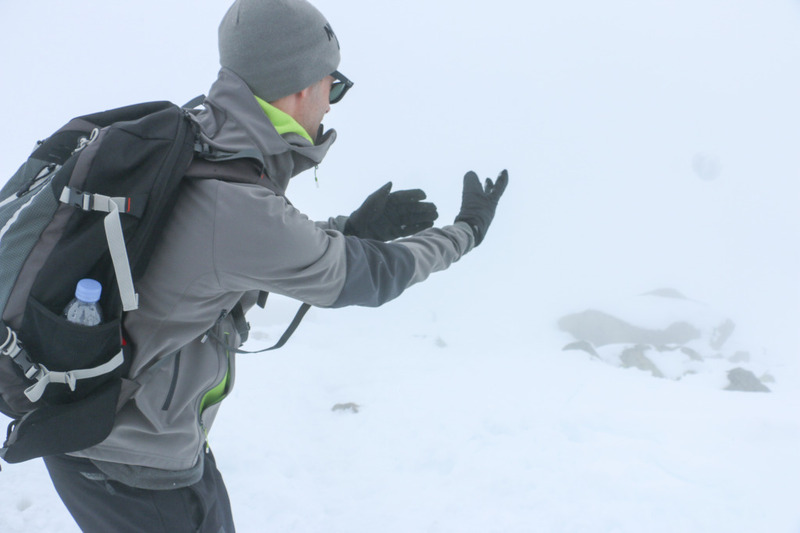 Not to mention climbing to the top of Mont Blanc at 4810 m – only for the well prepared ones. We were there just after easter, and by then the snow in the valley was gone and so were most of the crowds that go there for winter sports. 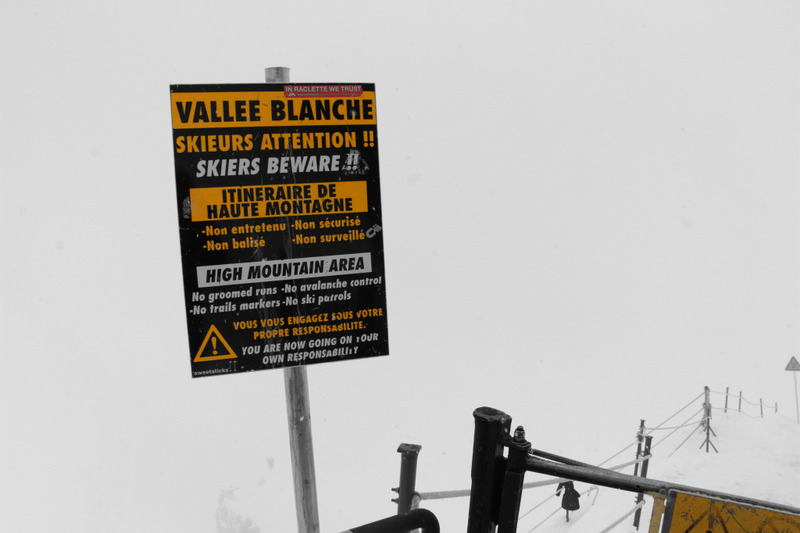 From 2000 m upwards there was plenty of snow and some of the more advanced red and black routes were still operational. 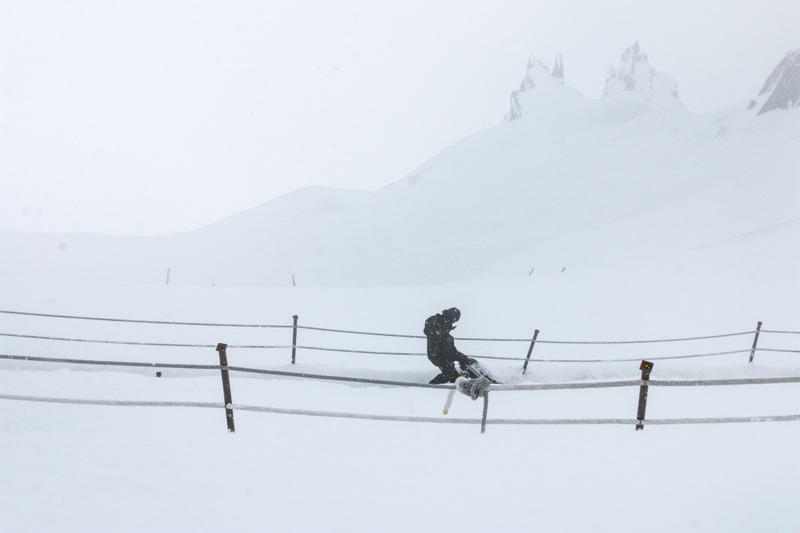 For us though this wasn’t targeted as a snow sports weekend, but more of an “enjoy the mountains” one. Also, the peak prices from the high season were mostly gone, which was helpful. 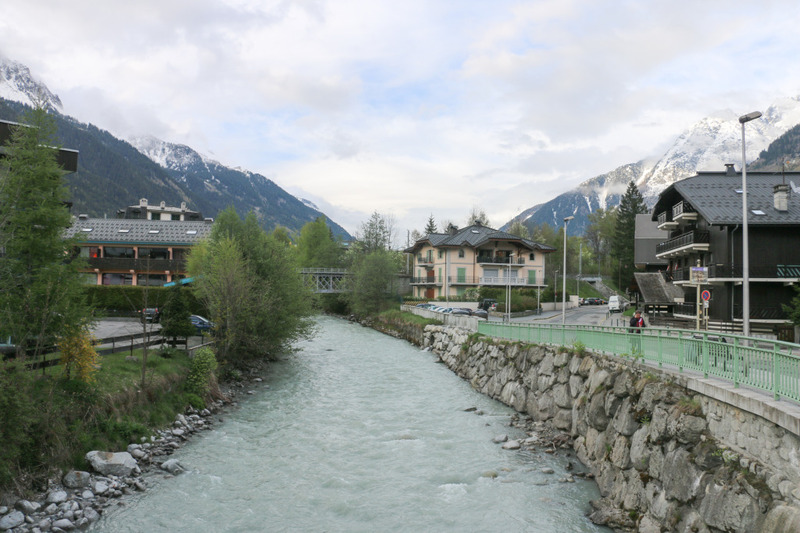 We came from the swiss side of the Alps to the east, passing Vallorcine and Argentière, a couple of alpine resort towns in the vicinity of Chamonix. 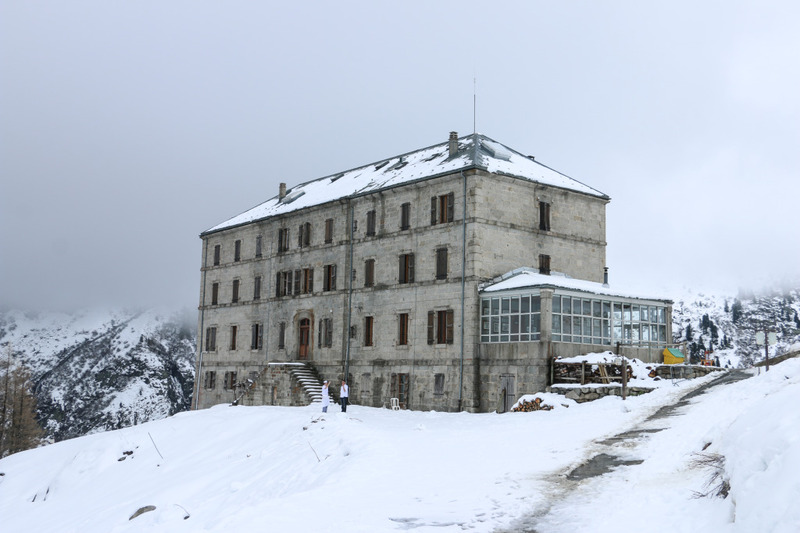 Once in the town, our Hotel – Boutique Hotel Le Morgane – was side by side with the Arve river and on the street that leads to the cable car up to Aiguille du Midi. From our room, we had a balcony with a perfect view to the Aiguille, the cover photo of this post! 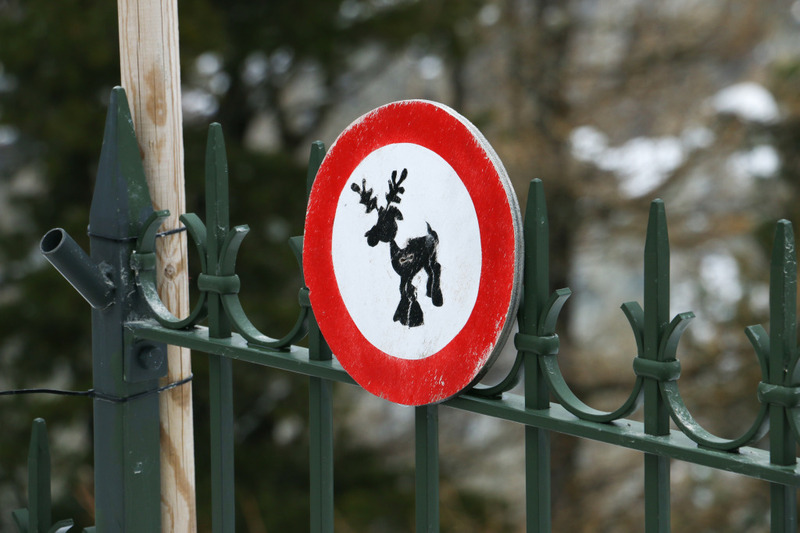 Read more about our weekend in Chamonix. 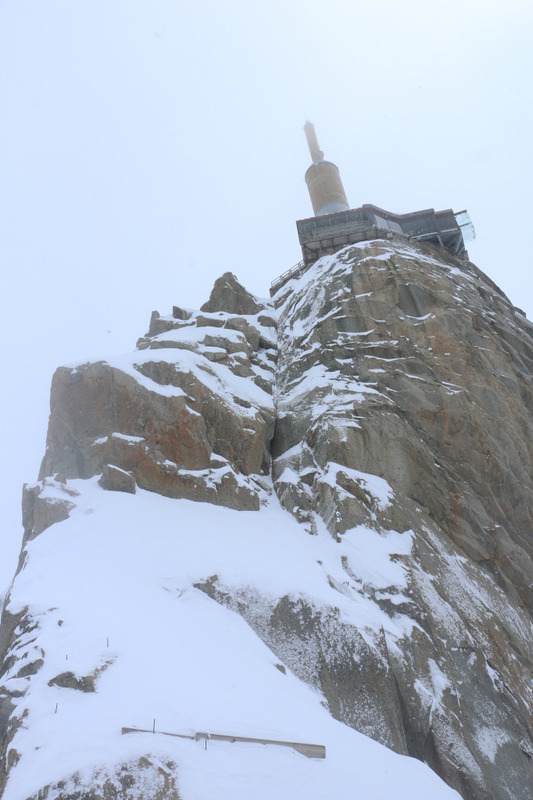 Going to the top of the Aiguille du Midi is one of the major attractions in Chamonix. The cable car goes up in two stages. 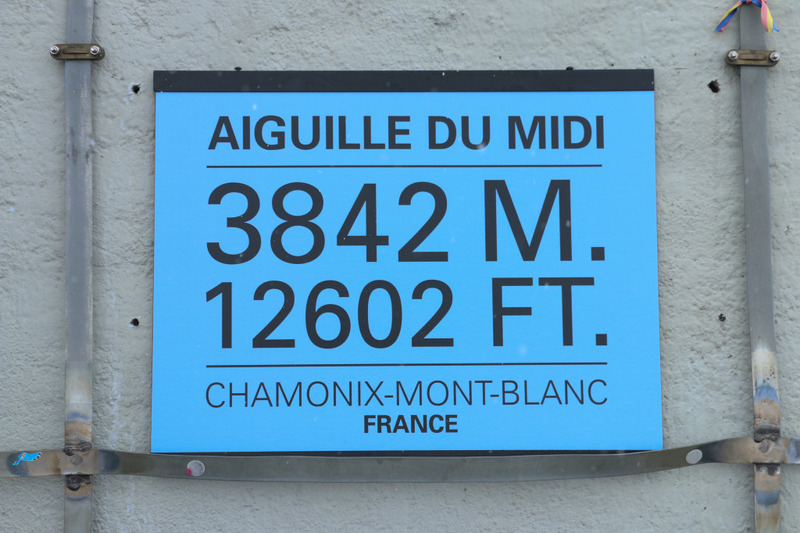 The first to Plan de l’Aiguille at 2310 m and the second to the Aiguille at 3777 m. But it doesn’t end there! 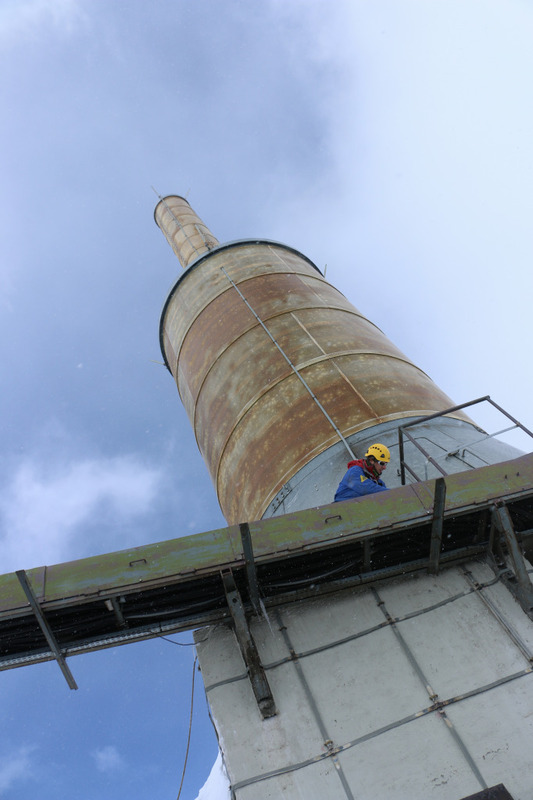 Once at the top, a lift in the rock goes even further up to 3842 m, where the main viewing platform is. 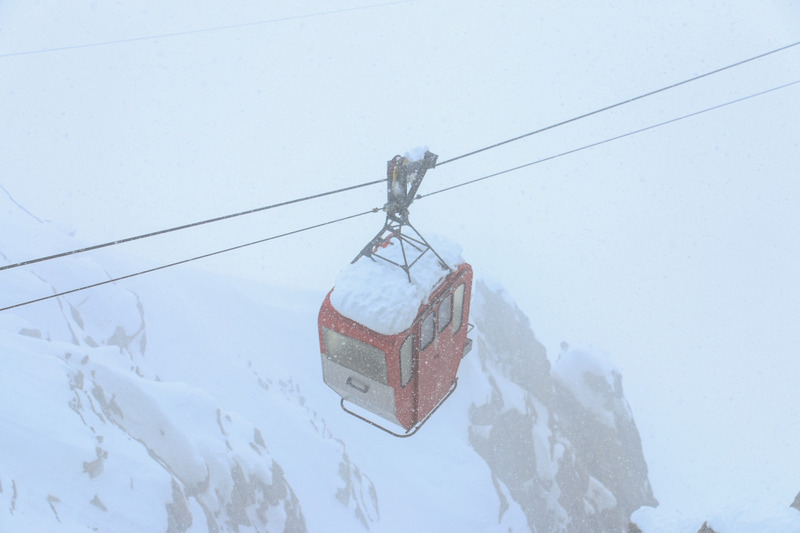 There is also a cable car operating during summertime to Helbronner, in the Italian side of the mountain, and the start of the Vallée Blanche route for skiers and hikers. At the valley base, there are tv screens with the weather forecast for the Aiguille, and when we got there the weather was pretty closed. We initially thought about not going up, but we had to take the opportunity of being in town to go to the top. No regrets, at all. 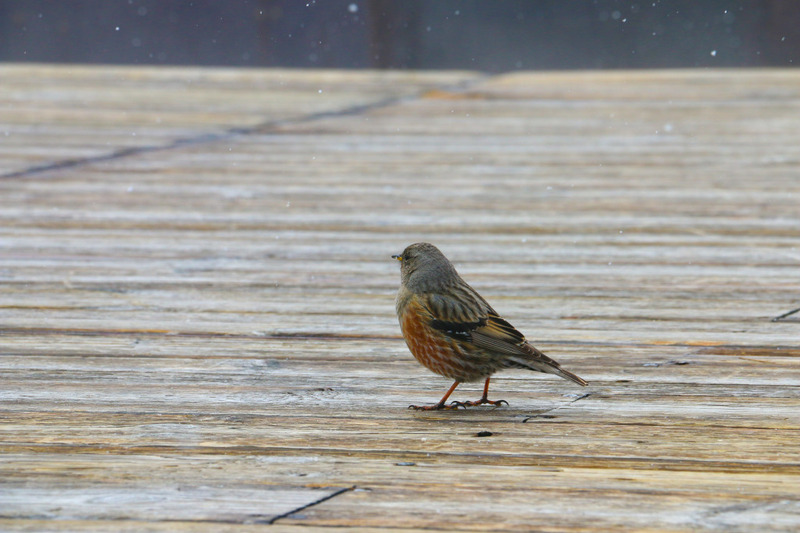 Yes, the weather wasn’t the best, it was snowing, the temperature was -12 ºC and cloudy. If the views were amazing on a day like this, imagine on a clear day! We spent plenty of time at the top, enjoying the moment. 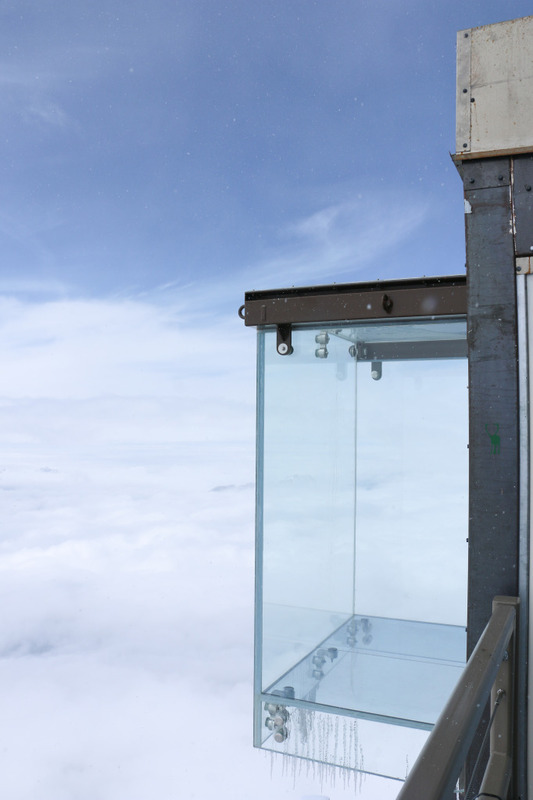 A fairly new attraction is an outside glass box – step into the void, with a drop of 1000 m! Not easy for those afraid of heights, but we also went in. On our way back we stopped at Plan de l’Aiguille to throw some snowballs at each other! Here’s Hugo practising his technique. To end the afternoon and relax, we went to the spa at our hotel. Felt good to warm up a little after the cold at the top. 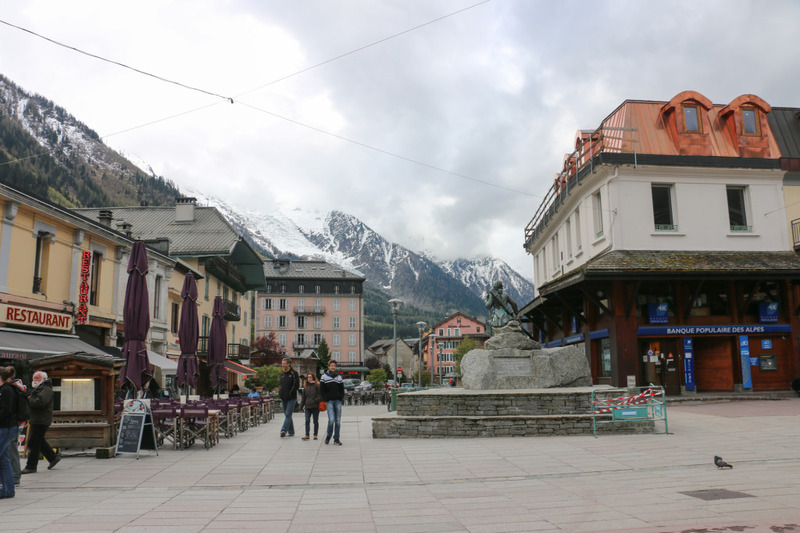 For dinner, we went to the central area of Chamonix, passing along its many shops, mostly outdoor sports related. On the second day, we took the train from Chamonix to Montenvers, where we spent a good part of our day. 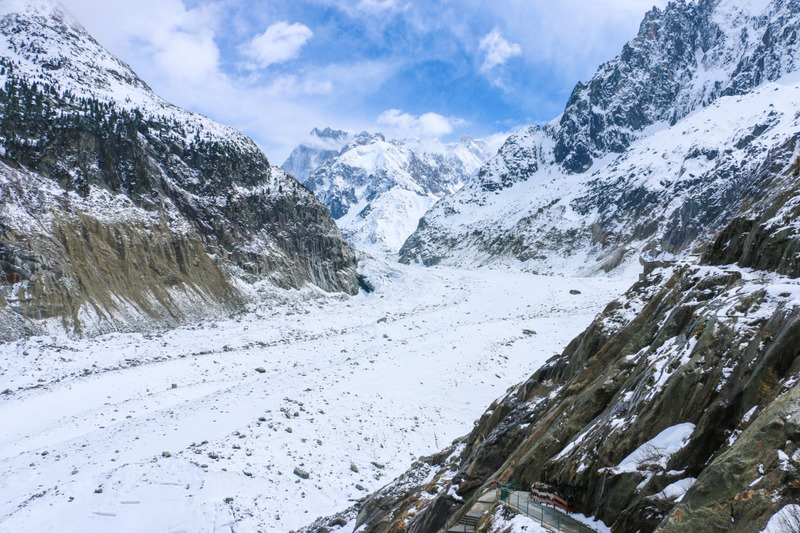 At 1913 m, Montenvers is the access point to the Mer de Glace glacier. There is an esplanade at the train station level with an incredible view to the glacier and surrounding mountains. This is not the average glacier visit. 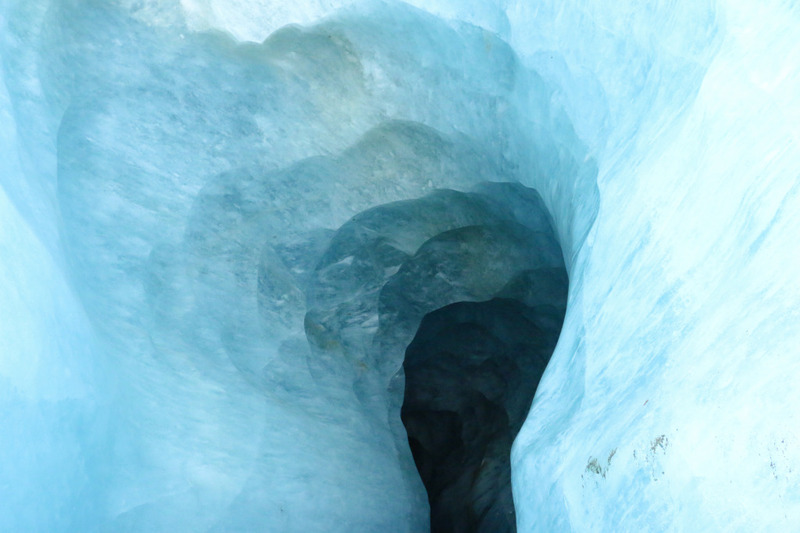 Usually, a glacier visit can include a walk on it, but this one has a man made ice cave. 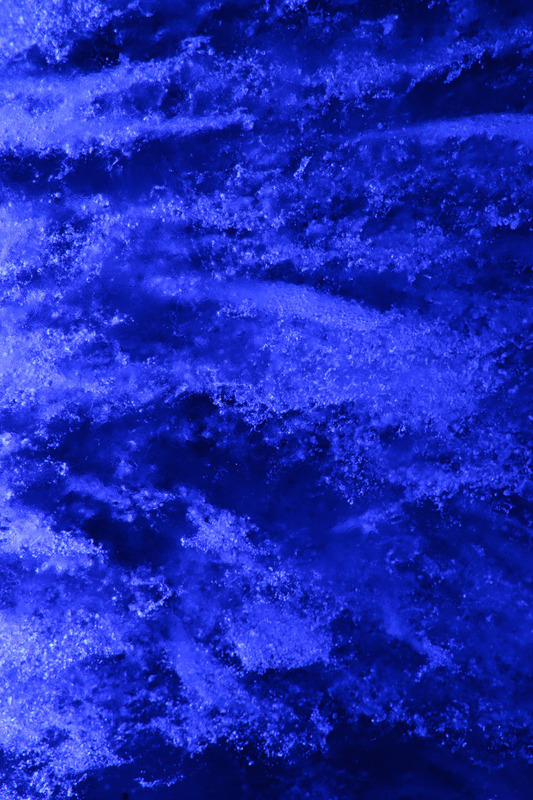 A pretty cool one we must say, with lights and ice sofas inside of it that make a colorful cold display. 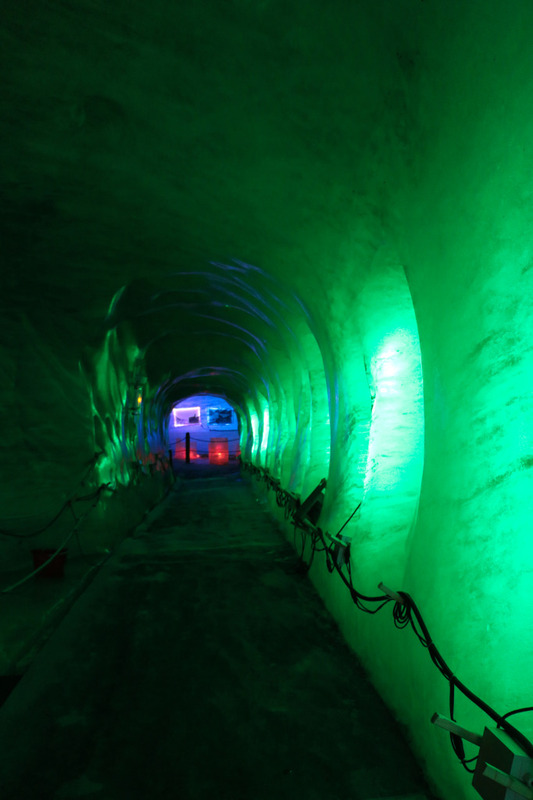 The interesting bit is that since the glacier is moving, the cave needs to be maintained daily to keep up with the moving. The rest of the evening was spent strolling around Chamonix, before leaving the next day in the morning. 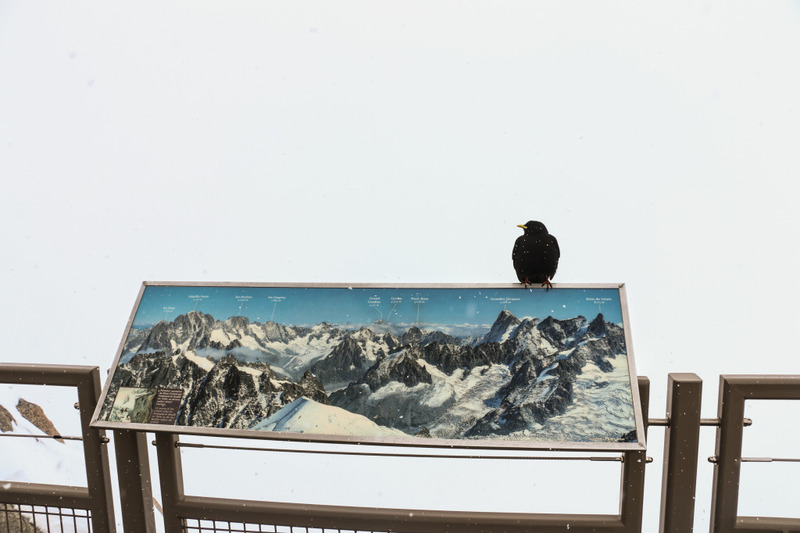 A word of advice, Chamonix is one of the top alpine resorts, both in winter and summer, so the prices are steep. 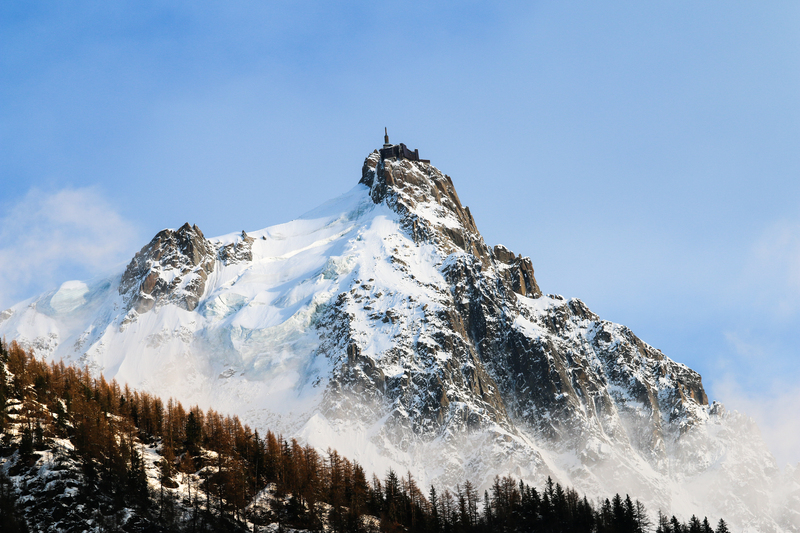 If you add activities like Aiguille du Midi or Mer de Glace glacier you can easily break the bank. Prices in the peak winter season are also way higher, including the packages. This was our weekend in Chamonix. Thanks for reading! 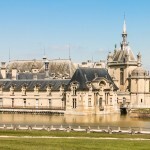 Read our other post about France here. Went to chamonix in May and it was spectacular. I still think about it everyday.